We are thrilled that our friends at Elegant Affairs have agreed to be part of our monthly vendor spotlight series! We can attest to their beautiful work with some of the gorgeous weddings we’ve collaborated on here & here. BUT, with years of expertise under their belts with mandaps and event design, we thought getting their insight on colors & styles of mandaps, flower arrangements/designs and out-of-the-box event design ideas would help inspire our brides-to-be on their path to the wedding day! 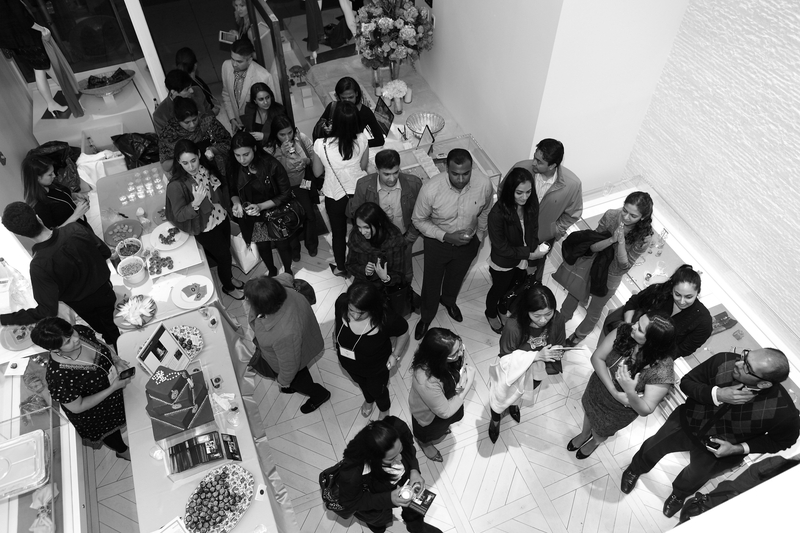 tanaRi events (TE): Sharda & Shohba, thank you ladies for taking the time to answer some of our questions! It’s a pleasure for us to be speaking with some of the best in our business! For the non-Maharani brides out there, what is a mandap? And for our Maharani brides, what is a traditional mandap size? Elegant Affairs (EA): A wedding mandap is a covered structure with pillars temporarily erected for the purpose of Hindu and/or Jain wedding ceremonies. The incorporation of a wedding mandap is an ancient custom and has been described in various Sanskrit texts. It is traditionally made of wood, although in modern weddings, other unique materials can be used (such as delicate fabrics, flowers, crystals & lights). The wedding mandap often comes as a set that will include pillars, royal chairs for the bridal couple, side chairs for the parents and a pedestal for the sacred fire ritual. Traditional Mandaps were enclosed mandaps which used four banana trees and bamboo. They were decorated with marigolds & mango leaf torans. Today’s traditional mandaps are also done with four poles. These can either be decorative pillars or poles covered in fabric. The size of these enclosed mandaps can vary from a 10’ x 10’ Square to a large 16’ x 40’ Rectangle. TE: We love hearing about the history of a mandap and how it compares/contrasts to what we see today. How do the styles & shapes vary based on the religious ceremony? Do you find that there’s a “favorite” color and/or style by your clients? EA: One popular design style for mandap called “Dilwara Style” is based on the designs found in Jain Dilwara temples of India. These temples are world famous for their stunning pillar designs. Although more couples are using modern materials for their mandaps, it’s important to insuring all religious aspects of a mandap are present, including a “Havankunda” structure used for fire worship & oblations. EA: We recommend simple Mandaps for destination or beach weddings. Our favorite would have four simple poles with soft, sheer, flowing fabric. TE: What I find people notice the most is the fabric and its vibrant textures and colors. Is there a certain type of fabric you recommend for a mandap? Where does the fabric come from? EA: Sheer fabrics such as Chiffon or Georgette always flow very nicely on mandaps. We usually recommend that or a Sateen depending on the design. The backdrops and fabrics that have traditional work on them (beaded/sequined/embroidered/Jaddossi) are from India. Otherwise, we get our fabrics locally in New York City. TE: Wow! With all those complex fabrics, we can see how bringing the idea all together can take some time! How long does it typically take to come up with the initial idea for the mandap (with clients’ opinions considered) and present it to them? How early on before the wedding should they be approaching you with brainstorming ideas? EA: Mandap designs are based on the size and shape of the ballroom or area where the ceremony is being held. We recommend that a couple should see us at least six months prior to the wedding to begin design planning. TE: What is the most frequently questions asked by a bride when considering the event design? EA: There are a couple of common questions. One is “what are the new design trends?” Our brides are becoming more and more modern and they like to keep up with the trends. Another frequent question regards budget and how the client can fit all the décor they love into their specific budget. Bride’s like to take our advice while figuring out which other vendors to use and often ask who is the best. TE: Speaking of budget, how many weddings do you do per year on average? What is the average budget you’re asked to work with for your clients? EA: We do approximately 250 events per year. Because there are so many events, the budget range is HUGE. But, the average amount spent is usually around $10,000. TE: It seems like one area that couples’ try to find some budget flexibility with is the floral arrangements. What are some tips/ideas that you provide to bride & groom for saving on flowers? We always get brides who ask us how you can achieve their look without blowing their budget or compromising on the quality. Can you elaborate a bit on that? EA: We often recommend to break up the centerpiece styles. For example, a bride can use some candelabras with candles & cylinders with floating candles for most of their centerpieces and then have a floral style for the remaining ones. This way, you are saving on floral items but not compromising the overall look of the room. Another way to save on flowers is to re-use some items. Sometimes a few Mandap bouquets are reused on the reception coffee table or centerpieces can be also used in the clients’ aisle. This helps a lot! TE: We never want couples to feel like they’re overspending, but as vendors we will recommend that some wedding details may require a bit of extra money to achieve a most successful result. Where are areas in the event design planning that are better to save money VS what’s worth the splurge to spend money on? EA: We recommend that a bride saves money on the ceremony, aisle and cocktail. There are so many simple yet beautifully done ways a ceremony can be handled. The splurge is definitely recommended for the reception stage, centerpieces and lighting. All these components set the mood for the rest of the night. TE: From a creative perspective, what are some out of the box ideas that you have heard of from a bride? How did you bring that vision come to life? EA: One time a bride really wanted her and the groom to enter the ballroom in a special way. They wanted to be sitting on a moon and be lowered from the ceiling. We created a moon that was able to be rigged up to a swing/bench and lowered just like they wanted! The first time we try to base our décor on a certain theme, it becomes an out-of-the-box idea. Vintage became a huge trend, but we nailed it the first time a bride wanted that look. We pride ourselves on being able to take any vision a client has and help to shape it in a classy way, without letting it get too overwhelming. Learn more about Elegant Affairs on their Facebook | Instagram | Pinterest pages! 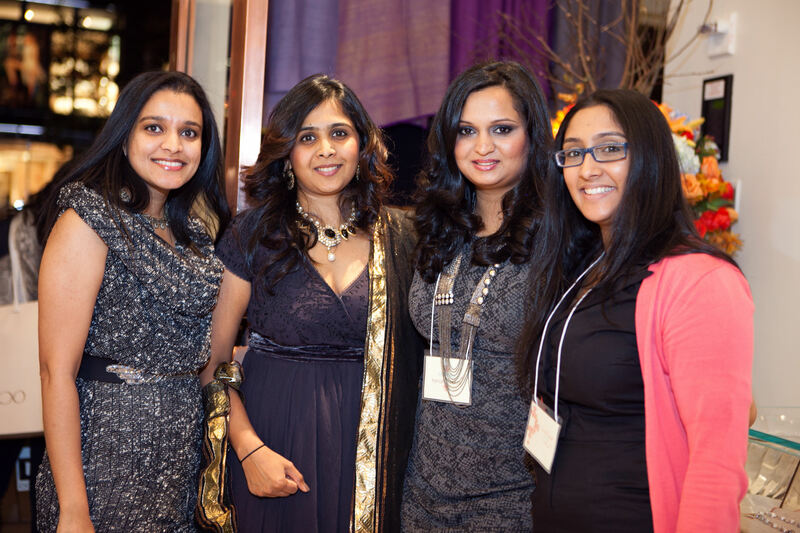 tanaRi events Celebrates Our One Year Anniversary! tanaRi events is thrilled to share with you all that on July 21, we will be celebrating our one year anniversary!!! It’s been a long, hard working road but we’re happy to report that it has been a successful first year and we hope to continue this success by working on many more projects! From various international weddings to working with Picksie on their new product release event and our work on Tie The Knot Bazaar event, it’s been a busy & exciting year for tanaRi events! We want to take the time to especially thank our family & friends for their continued support in this endeavor. We hope that in the near future we will be sharing the spotlight with the best in the wedding & events industry. In addition, we want to thank our readers and followers who come to us as a primary source of information that we want to continue sharing with you all! To continue showing your support, please find us on our social media pages where we are constantly updating and communicating with our readers & other vendors in the space. Your participation in our conversations is wanted and all feedback is highly welcome! Our goal is to obtain at least 500 Facebook followers by July 21. Will you help us get to our goal?? Top 10 Bollywood item songs on tanaRi events’ list for your wedding reception! So it’s time to select a play list for the DJ at your wedding. You have a variety of guests from grandparents to teenagers, so you definitely want to incorporate new Bollywood and also the classics. But there are so many songs to choose from, how can a bride decide? Don’t worry tanaRi events can help you! Here are our top ten Bollywood item songs we love to get the party started with! 1) Chammak challo – Ra One: This popular song is about a charming “moody girl” who is not ready to listen. With Bollywood beauty Kareena Kapoor and Akon’s vocals for the chorus, this song brings Bollywood and hip hop together for an awesome dance fusion! 2) Sheila Ki Jawani – Tees Maar Khan: This song will definitely get all the young women on the dance floor to strut their stuff! Although this film did not do well in the box office, this song was the biggest hit of 2011 with Katrina Kaif as the leading lady. 3) Kajra Re – Bunty of Babli : This is probably the item song of the decade! Groups love to perform this song in front of a bride and groom. 4) Mera Naam Chin-Chin Choo- Howrah Bridge: A great choice for the elders in the family! From the film Howrah Bridge, it’s sure to bring back some memories! 5) Piya Tu Ab To Aaja- Caravan – The quintessential cabaret item number by the legendary Helen. This is one of the most culturally important Hindi film songs, thanks to our all time favorite dance queen! 6) Ek Do Teen- Tezaab: A timeless song that’s still loved today! Our personal favorite, Madhuri Dixit, the Maharashtrian beauty had captured the hearts of many in this upbeat item song. We love watching Anil Kapoor in the 80s before his SlumDog Millionaire and Mission Impossible 3 fame! A sure hit amongst the crowd who will be counting on their fingers through out the chorus! 7) Yeh Mera Dil- Don – This Bollywood remake from the 70s will make the parents and young adults want to dance! Kareena Kapoor did a fabulous job in this super hit movie Don. 8) Deewangi Deewangi – Om Shanti Om : This is a great song for the bride and groom to walk out on! The video featured some of the hottest Bollywood celebrities such as Rani Mukherjee, Kajol, Priyanka Chopra, and Karisma Kapoor! 9) Love Mera Hit Hit – Billu Barber – It looks like Shah Rukh Khan has the midas touch when it comes to hit songs! This song was a break out hit, and fun to dance to! * Décor: Less is more is such a beautiful philosophy. Sometimes weddings with minimal and simple décor can be the most beautiful weddings. Taking that inspiration, tanaRi events’s table was decorated with a simple tall centerpiece that complimented tanaRi events’ colors. As part of décor, we also included turquoise cake pops. Using food and drinks as part of your décor is a great idea that you can use. Keep the colors & flavors synchronized with your overall theme and you’ve got a winner! *Desserts: Tiered-cakes are classic and will always ‘in’. However, these days focus has shifted a bit from elaborate cakes to dessert bars with a mélange of bite-sized delectables, including cupcakes or cake pops. Bittersweet NYC provided us with perfectly sized and succulent cake pops in our colors, which were much appreciated by the guests as well. *Entertainment: What will people remember most about your wedding? Along with food, entertainment is one of the most important at a wedding reception. You could choose a DJ/Band for music or more exotic choices of entertainment. At Tie the Knot Bazaar, we had middle eastern dancers, who performed a variety of dance and introduced a range of props, even swords were at play :), which was extremely entertaining. The best part of the dance, as noted by the guests, was that they danced to music from different parts of the world, including Bollywood. *Photobooth: Even though photo booths are not new, Tie the Knot Bazaar took a very unique take on this idea. We customized it for a South Asian wedding theme. 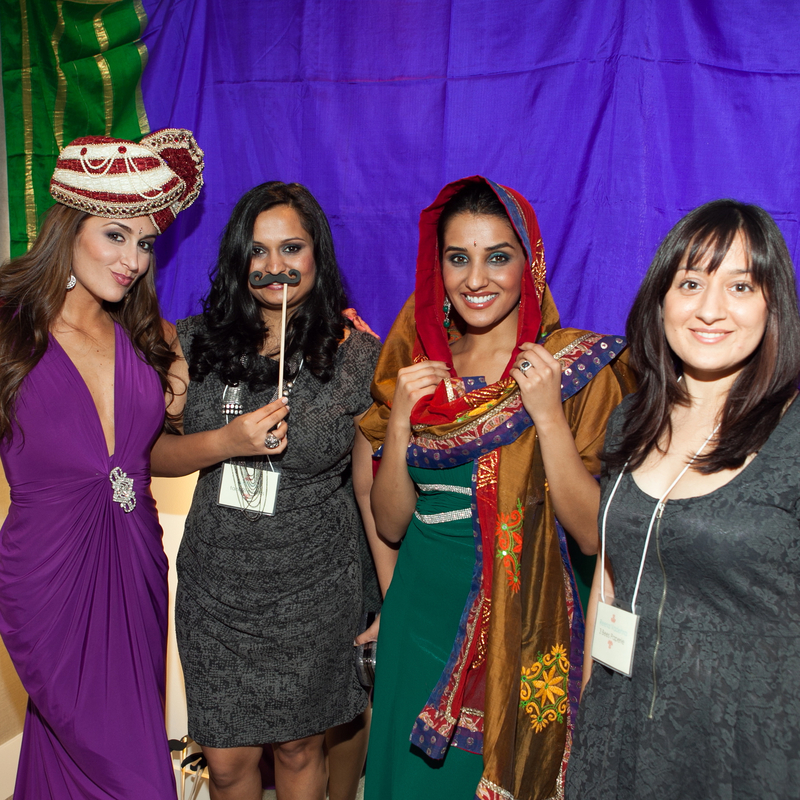 The booth was lined with saris and the many accessories included a pagdi (a Indian headpiece worn by men), saris, dupattas (silk stoles), hand made mustaches, bindis, eye glasses and the like. This is definitely a place to be very creative. 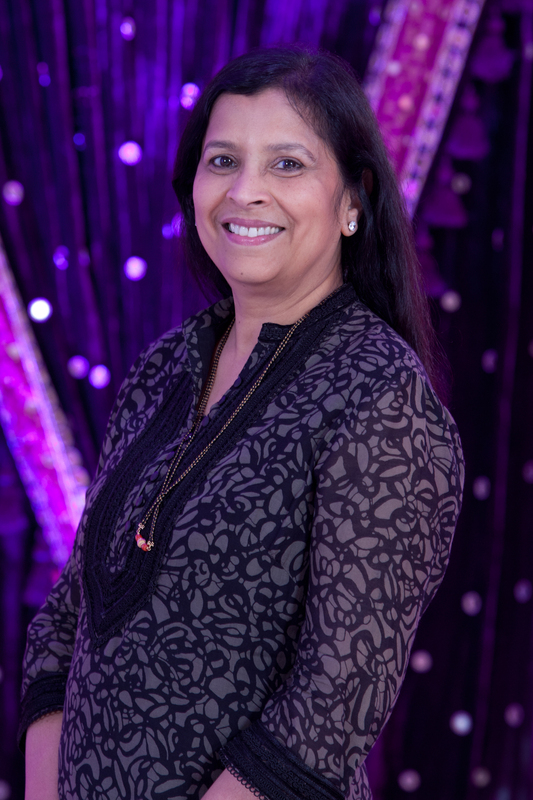 Our lovely photographer, KSD Weddings captured many candid shots of the guests. In addition to this the vendors brought together great tips and tricks for today’s bride. We are glad to have presented this opportunity for you and truly honored that you enjoyed it! 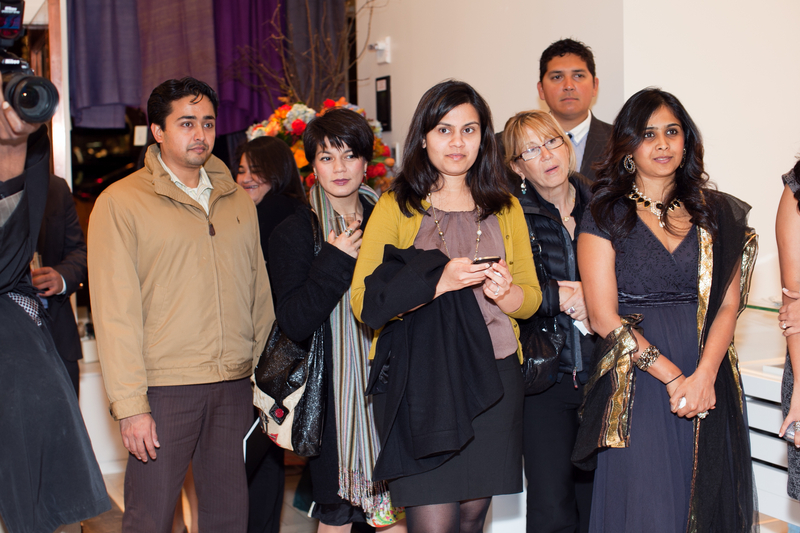 Food and conversations with chef Hemant Mathur from Tulsi, NYC. 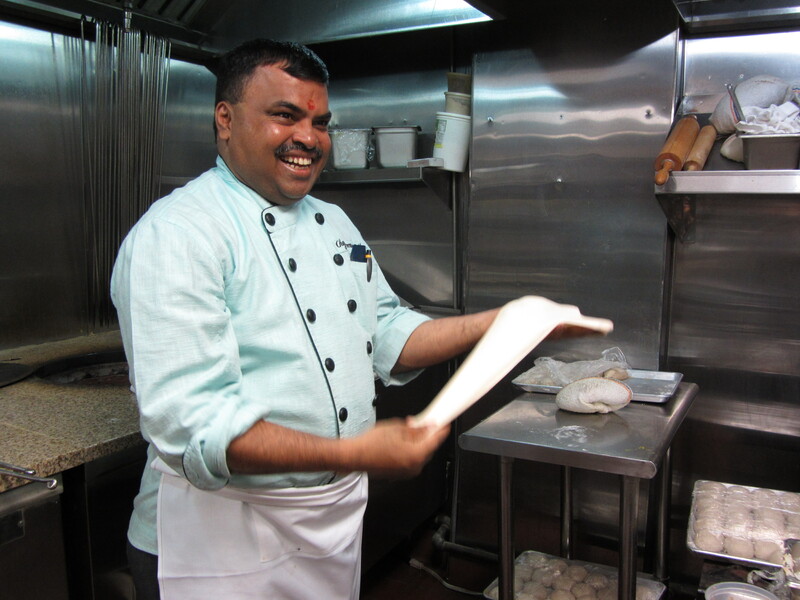 Recently I had a chance to sit down and talk to Hemant Mathur, the executive chef and co-owner of Tulsi. Already a fan of his cooking, it was a great opportunity for me to get to know the chef’s backstory. 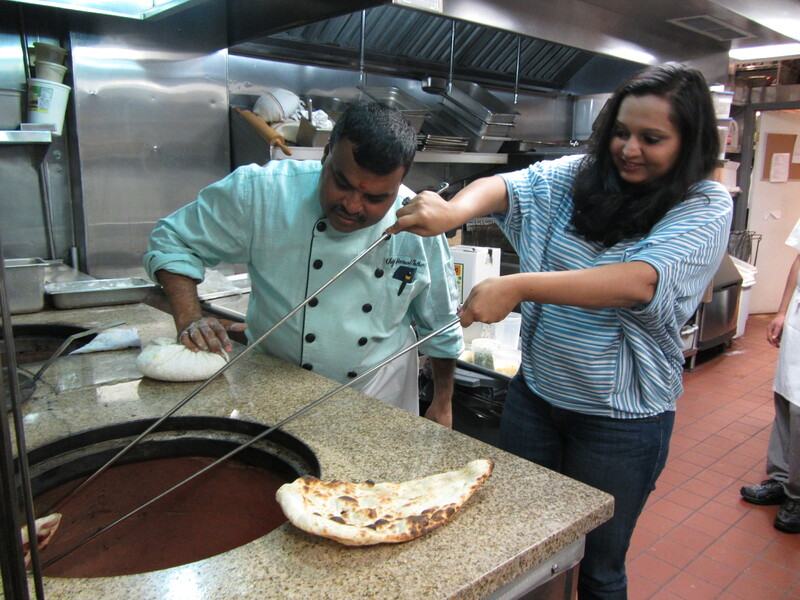 As a bonus, I got to learn how to make a tandoori naan. Fresh bread and great conversation… good times! What fueled your passion for cooking? When I was 17, I started working as an apprentice at the Rambagh Palace Hotel in Jaipur. Traditional schooling had not been exciting to me, but once I started working in the kitchen, I found myself really enjoying my work and my life. That started me on the path to becoming a chef. In brief, how would you describe your philosophy on food? I strive to create Indian cuisine that is bold, yet has clean and distinct flavors. It should be multidimensional – layers of flavors, textures and colors – with an elegant presentation and always made with the best-quality ingredients available. How did Tulsi come about? Tulsi is the result of a reunion of longtime friends. Tulsi’s co-owner Vijay Rao was a loyal customer of mine when I worked at Diwan Grill in the 1990s, and he has wanted to collaborate with me on a restaurant since then. Rao reconnected me with tandoor master Dhandu Ram, whom I first met when we were both aspiring chefs-in-training at New Delhi’s celebrated Bukhara Restaurant. The three of us finally have the chance to work together at Tulsi. What sets Tulsi apart from other Indian restaurants in the city? We offer a distinctive approach to Indian food – authentic in flavor, but reinterpreted for sophisticated New Yorkers, movers and shakers, and world travelers. Could you share an easy yet delicious recipe for a bride-to-be, who wants to wow her fiancé? Seared Sea Scallops with Bell Pepper Sauce and Coconut Rice. 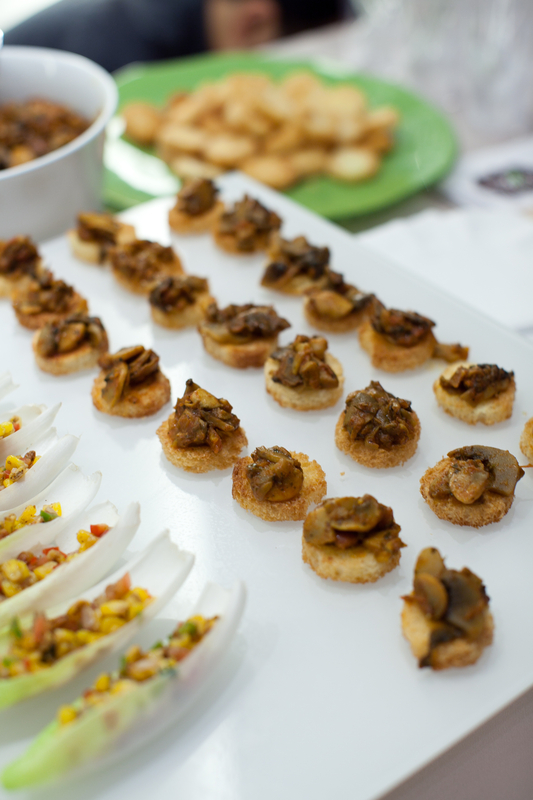 This is fast, easy and elegant recipe especially for tanaRi events’ fans! Download the recipe from the link below. Tried to make this recipe? Added your own touch to it? We want to hear your feedback! Share your thoughts in the comment section! 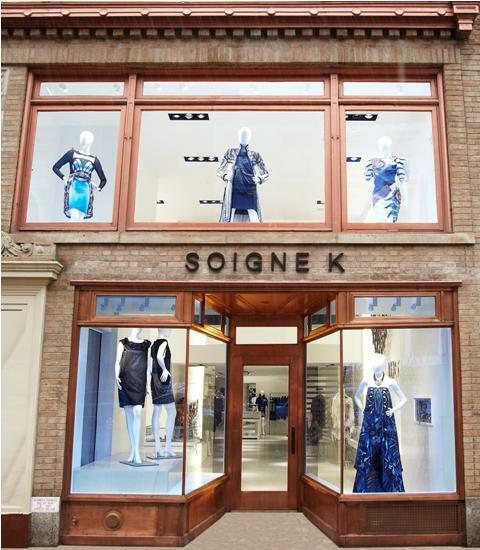 Soigne K on Madison Avenue features Indian designer fashions & exquisite artistry. Here is a chance to get to know the woman behind the brand. 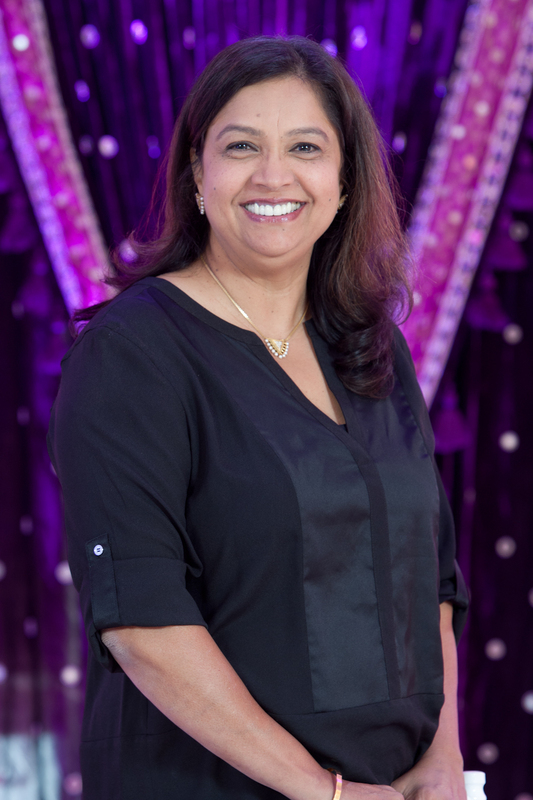 Soigné Kothari, the founder and president of her eponymous multi-brand specialty store, Soigne K, is an entrepreneur, jewelry designer, businesswoman, gourmet chef, wife, and mom, rolled into one fashionable force, and seems to do it all with great elegance. 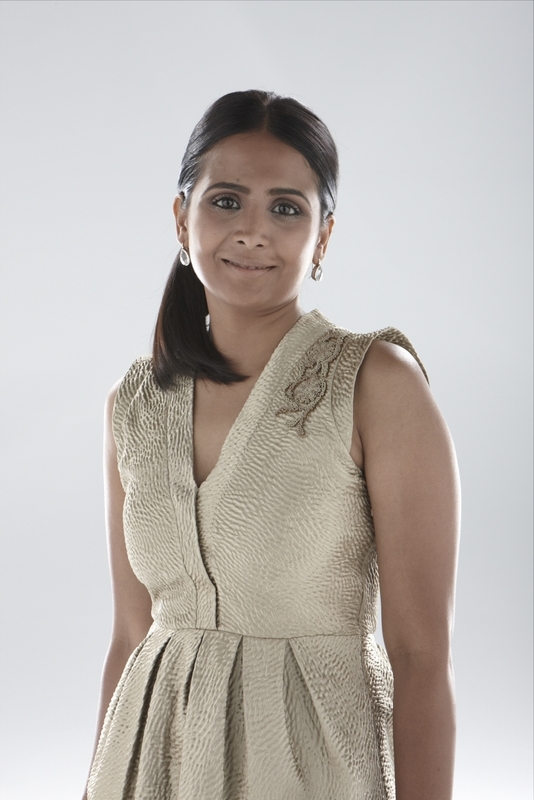 Born and raised in Mumbai, India, some of Soigne’s earliest memories of fashion and jewelry were during her visits to family business locations, where luxury goods were being made and sold. Her taste for elegance and one-of-a-kind handcrafted pieces led her to pursue a degree in fashion merchandising from FIT, Mumbai. Soigne went on to become a successful jewelry designer in India with the Karma line of spiritually inspired jewelry. When she moved to the States sixteen years ago, Soigne carried on her vision to bring India’s breathtaking heritage and exquisite artistry and make it accessible to the discerning American woman. In September 2010, she launched her store, Soigne K, located in the mid-60s on New York’s prestigious Madison Avenue providing a platform for luxury goods and couture fashion by Indian designers and artists. Through the designers showcased at her Madison Avenue boutique, Soigne hopes to dispel “the preconceived notions of Indian fashion, involving a colorful peasant skirt or a sari”. The store introduces the American audience to exemplary fashions that blends the rich, cultural fashion voices of India and the fast-moving trends of the West. 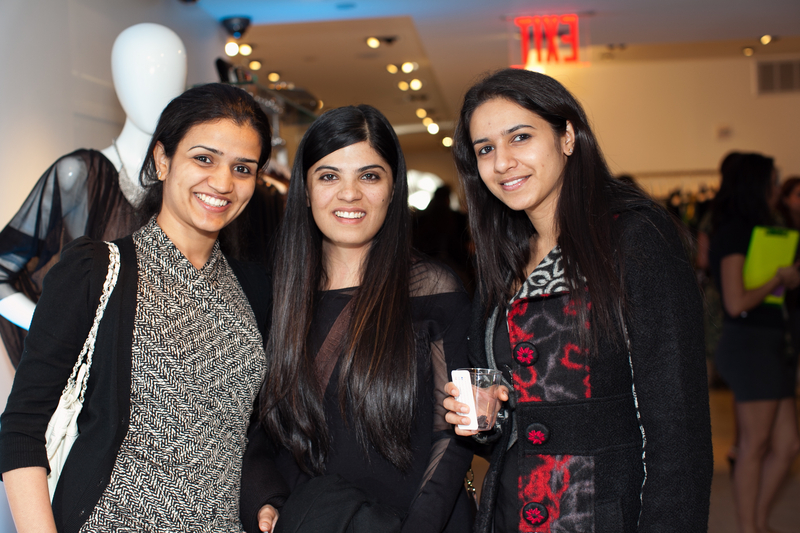 The first floor of the sleek minimalist two-storied space carries high-end dresses, resort wear, fashion jewelry, scarves and belts by contemporary Indian designers. The second floor features traditional Indian wear, exquisite evening gowns, formal dresses, jackets and handcrafted jewelry.